All organisms need food to live, only plants can make their own food. Leaves are the plants food factory. This process is known as photosynthesis where carbon dioxide and water combine in the presence of light to form sugar which is the plants food. production of seeds as well as grains and fruits. Plant stems or trunks support the plant as well as acting as conduits for the plants food and water. The roots help provide support by anchoring the plant and absorbing water and nutrients needed for growth. They can also store sugars and carbohydrates that the plant needs. Plants have either a taproots, carrots for example or fibrous roots, onions for example. In either case roots transport the water and absorb nutrients needed by the plant. 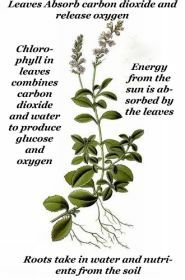 Energy from the sun is used by plants during the photosynthesis process(the food making process). Different plants need differing growing conditions. While some plants need more water others need more sunlight. Plants need the correct environment to thrive. 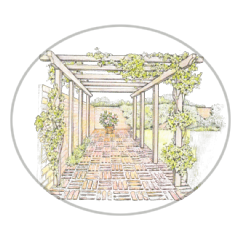 You need to know which type of soil, nutrients, how much water, full or partial sunlight or maybe a shaded position. 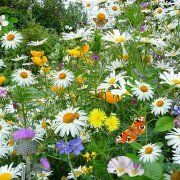 You also need to consider whether it is to hot or cold and whether the position is to windy for a particular plant.